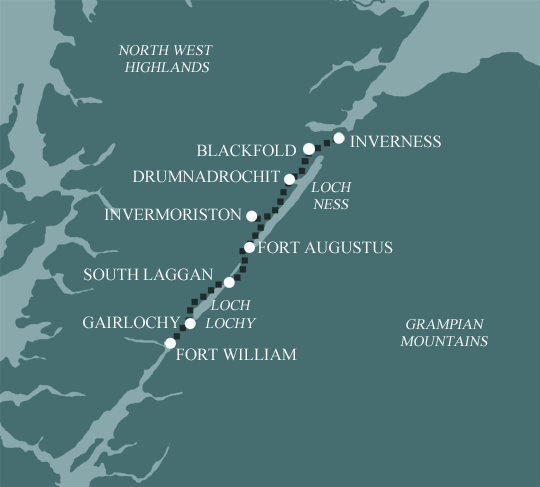 The Great Glen Way runs 73 miles (117km) following the Great Glen, (or Glen Mor or Glen Albyn). From Fort William on the Atlantic west coast to Inverness on the North Sea. From Loch Linnhe on the Atlantic coast the route follows canal towpaths, loch shore paths and forestry tracks to reach Inverness, capital of the Highlands. This is a relatively easy, low level route providing great views of the Lochs of the Great Glen and fine panoramas of the surrounding Highlands. With good waymarking, most of the walk is straightforward, along canal towpaths and forest tracks, with few challenging sections. 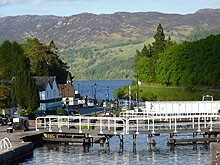 We have a range of holidays along the Great Glen Way from our full 5,6 or 7 day options. Choose according to the time you have available and the pace you find most comfortable. Click on the links below to have a look at the details for each holiday. We offer 3 holidays covering the whole route - the longer the holiday, the shorter you have to walk each day. Walk from coast to coast through the Scottish highlands, on well made paths without too much ascent. The Caledonian Canal provides an interesting backdrop and historical interest along much of the route. 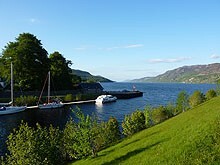 Explore Loch Ness, by foot and boat. Fine views of Ben Nevis, Britain's highest mountain. The best thing I can say is that after booking I didn’t need to question anything. Arrived every day to find case already there. Never had any problems, but feel sure help would have been prompt and effective. Every question I had you responded quickly. You were always friendly when I called and you picked great places to stay.